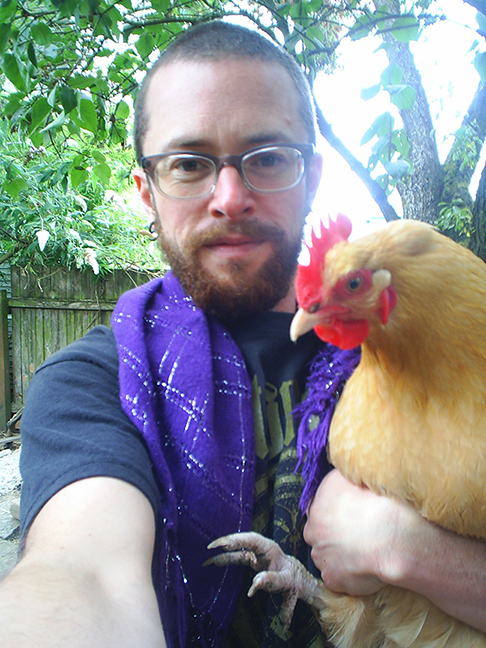 Cody Pherigo is a queer writing animal from Kalamazoo, MI, who found his poet-throat at Bent Writing Institute in Seattle five years ago, where he eventually taught two classes. He has performed at many Seattle venues and been published in various print and online journals, including Original Plumbing and Milk Sugar, and has two self-published chapbooks. Cody is currently pursuing an MFA in Poetry at Goddard College. He adores on-the-page craft and infuses a playful, goat-like spirit into his creative work. Cody gathers inspiration from queer country western dancing, regular and weird walks, and the animal within. Cody Pherigo is a contributor to Nerve Lantern issue 7.